Expert strategy advice on how to start, implement and maintain an online business. Choosing a domain name, server hosting options, database setup and maintenance are just some of the items that should be discussed prior to launching a successful online business. A website is your business shop window, it needs to be able to capture the attention of a passer by, make them stop and ultimately buy. Your website content should be clearly defined so visitors can find your services or products with minimal effort. Has your website become stagnant? There could be a number of reasons for this, maybe you are simply not as attractive as your competitors, your server host may be blacklisted or perhaps your marketing strategy is simply not working. Inspection of your website design, server, traffic and keyword analysis and finally a look at your competitors are all necessary to rebuild success. New websites, I design are carefully built to be found easily by searching on the Internet. Existing websites can benefit often beyond expectations from a simple change to your code. My proven techniques are guaranteed to increase your online presence. 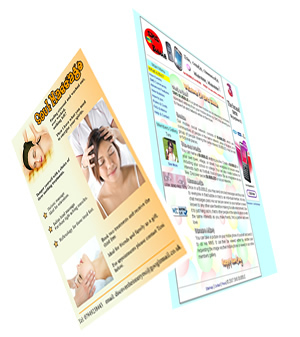 There are a vast number of methods of marketing your website both on and offline. Some marketing techniques can be achieved at little or no cost at all if you are able to conduct them yourself. 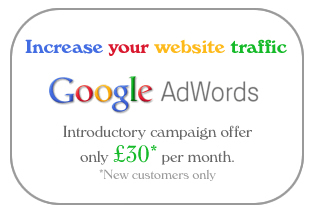 Popular internet marketing methods include Link Building and Search Engine Marketing. I also specialise in application integration for websites in the following technologies. Incoming and outgoing SMS server allows simple sending of SMS from your website to full interactive control from received SMS. An example of services that SMS could be applied to may range from parking management, appointment reminders and even mobile social networking. Twitter integration allows you to Twit automatically from your website. Received messages can be processed in various ways only limited by your imagination such as directly posting your received messages in real time to your blog or website. Professional and reliable Tweeting and Blogging for celebrities and businesses. Many analysts believe if your business is not on Facebook then you’re not on the internet. PHP is an advanced server side programming language for building rich internet applications. PHP is used to handle user logins, communicate with other web applications such as twitter or address lookup, process online payments, advanced image display and in browser editing tools and even generates PDF files. There is just about nothing PHP can’t do! SQL is a special programming language designed to manage data. The data is usually stored in a database and can be used to store just about any information such as user login details, calendar events, stock control and payment processing details. SOL also allows vast quantities of data to be searched and analysed very quickly. 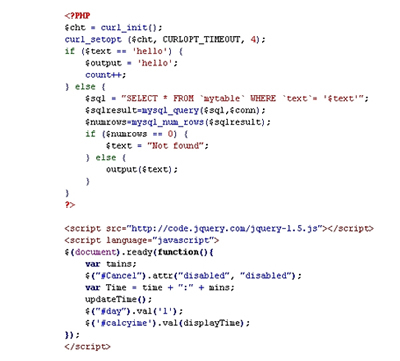 jQuery is an advanced cross browser scripting language which simplifies processes.